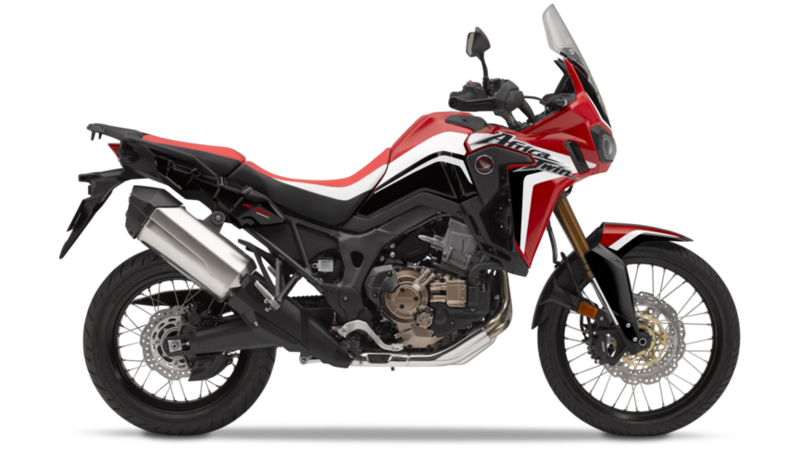 The Honda Africa Twin returns for 2019 with the standard Africa Twin CRF1000L in both a Manual and DCT option. 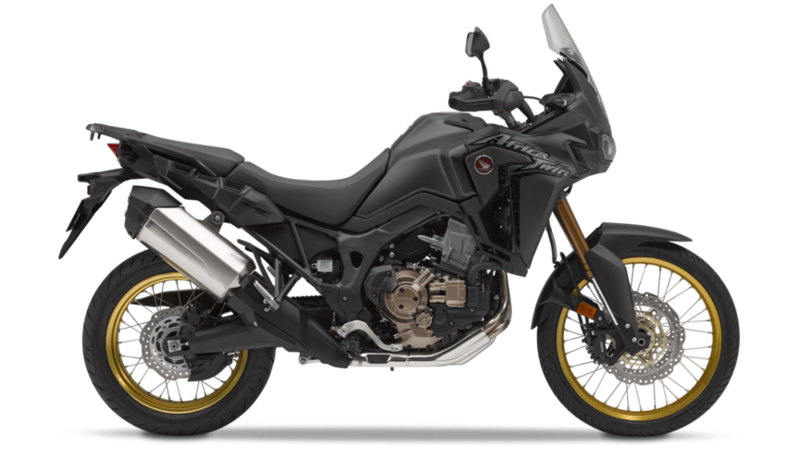 For 2019, Honda has introduced two new colour schemes, Glint Wave Blue Metallic and Matt Ballistic Black Metallic both with the popular gold rims. The bike has a steel semi-double-cradle frame that provides nimble on-road manners and great off-road capability. The shock has a low upper mount for mass centralisation, and it features a 46mm remote reservoir for stable damping control under more extreme off-road conditions. Spring preload can be adjusted via a dial on the shock body; rebound and compression damping are also fully adjustable. True to their off-road heritage, the Africa Twin models feature spoke front and rear wheels in size 21 and 18 inches, respectively, wearing 90/90-21 and 150/70-18 tires. The spokes are manufactured in stainless steel for improved durability and ease of care. The entire Africa Twin platform uses a Throttle By Wire (TBW) system that features four individual riding modes and a Honda Selectable Torque Control (HSTC) system. The benefits of TBW mean the rider has an array of choices for managing engine output, feel, and rear-wheel traction. The system features seven levels—from Level 1, for aggressive riding off-road on block-pattern tyres, to Level 7, for maximum sense of security on slippery, wet tarmac. It is possible to turn HSTC completely off, and there are also three levels of power and engine braking available. Suspension Front Show 45mm cartridge-type inverted telescopic fork with dial-style preload adjuster and DF adjustment, 230mm stroke. Suspension Rear Monoblock cast aluminium swing arm with Pro-Link with gas-charged damper, hydraulic dial-style preload adjuster and rebound damping adjustment, 220 mm rear wheel travel. There could be more than one way to finance this Africa Twin. Find out about Personal Loan and PCP below. You can part exchange your existing bike or put down a cash deposit. 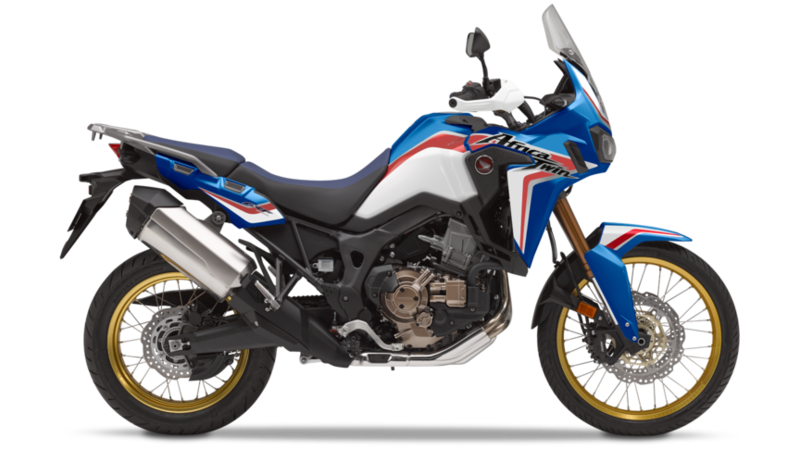 The monthly repayments cover the rest of the cost of this Africa Twin including any additional fees and interest. Once you have paid all the monthly repayments, the Africa Twin belongs to you. 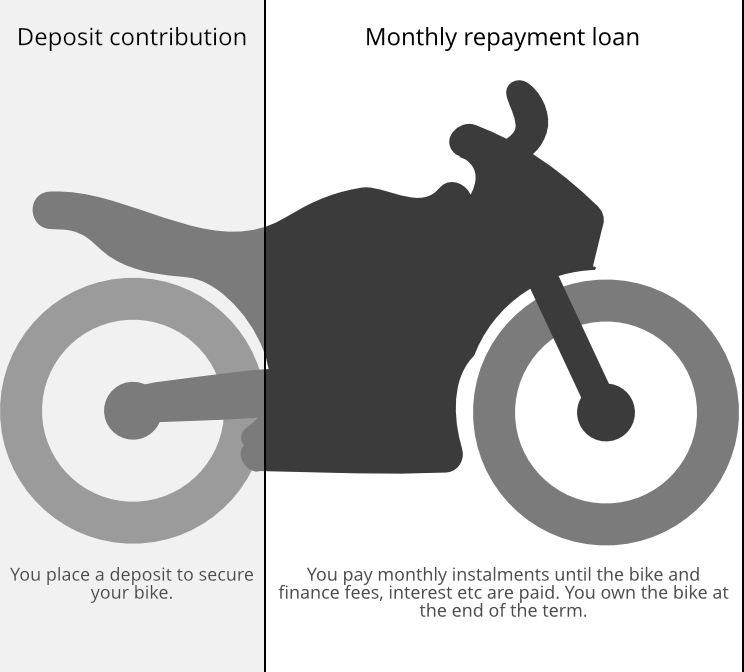 You can part exchange your existing bike or put down a cash deposit. 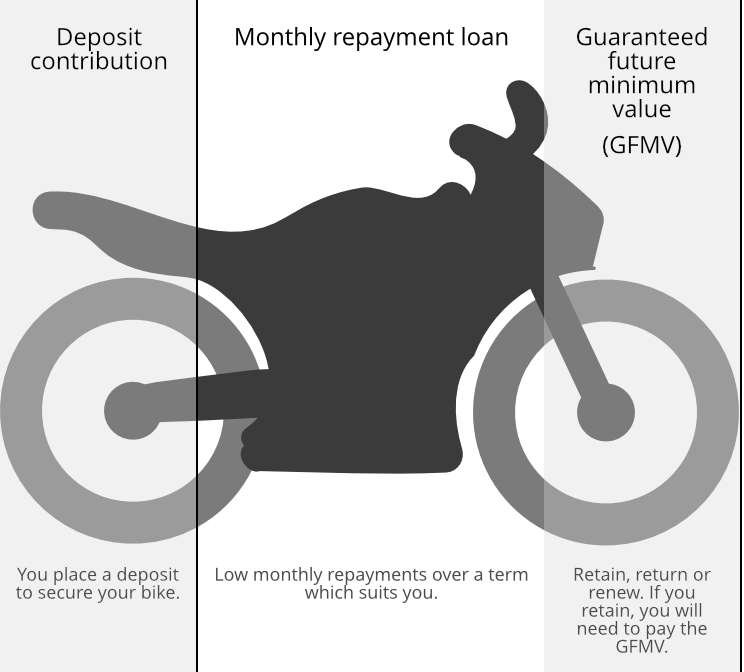 Typically, your repayments are less per month and cover a proportion of the Africa Twin's value and any additional fees and interest. At the end of the term, there is a final 'balloon payment' to pay before the Africa Twin belongs to you.